We all experience drier, and slightly more sensitive skin in the colder, winter months, and the solution is not as simple as ‘drinking more water’ to hydrate your skin. There are many factors that may contribute to dull, dry, dehydrated and lifeless skin, and many ways in which you can remedy the condition. Most of us make use of the same cleanser throughout the year, no matter the season. During a harsh, dry winter season one could consider avoiding cleansers with high concentrations of sodium laureth sulphate (soap), as well as those with high acid content, like a salicylic acid cleanser. While these are useful to control an oily skin type, they can strip away essential moisture, leaving the skin dehydrated and sensitive. Rather opt for a milk or gel cleanser in winter that will gently cleanse the skin of make-up and impurities, without leaving the skin dehydrated or vulnerable. Change your daily moisturiser during the colder months to one that is more nourishing, and provides a protective barrier to environmental elements. Hyaluronic acid in moisturisers is a natural moisturising ingredient that nourishes the skin while also having a plumping effect. If you enjoy your current daily moisturiser, and do not want to change, you could supplement your daily regimen by adding a hydrating or antioxidant serum underneath your moisturiser. A good tip when applying your daily moisturiser is to do so immediately after your bath / shower, when the skin is still warm and slightly damp. This will allow for better penetration. When the skin is overly dry or dehydrated, it becomes less efficient at sloughing off surface dead skin cells, resulting in a dull appearance due to the build-up of these skin cells. It is thus important to exfoliate the skin on a regular basis. Superficial to medium peels gently break the bonds between these dead skin cells, removing them and exposing healthier, more youthful, glowing skin. 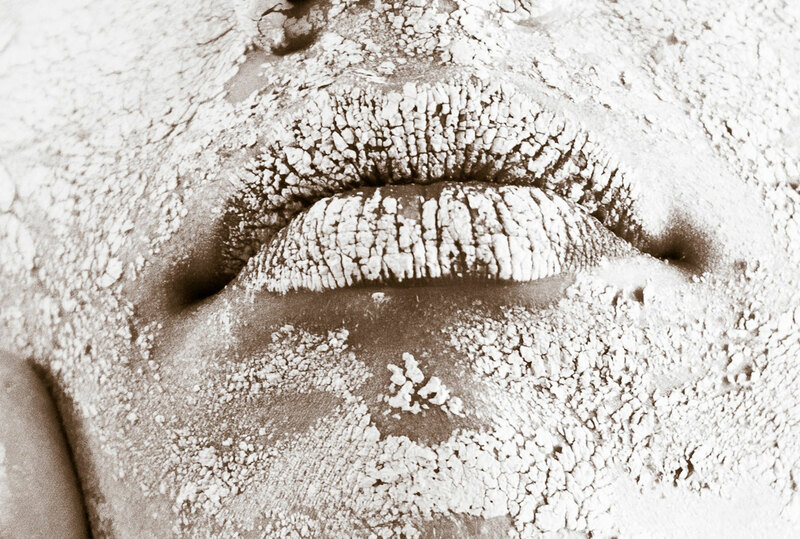 This exfoliation also allows for better penetration of hydrating ingredients into the skin. Do not stop applying your sunscreen during the winter months. Although there may be less UV exposure, due to cloud cover, you will still be exposed to some UV damage, particularly UVA, which causes free-radical damage and a breakdown of the skin’s structural support. Sunscreens containing antioxidant ingredients also protect against exposure to atmospheric and environmental aggressors, such as UVA, UVB, Infra-red, and ozone pollution, which may lead to dehydration, pigmentation and ageing. Extremes in temperature can be harmful to the moisture levels of the skin. Going from the freezing outdoors to a heated or air-conditioned room causes the skin to lose essential moisture, resulting in dryness, dehydration and sensitivity. Use a humidifier to add moisture to the air and to prevent dryness of the skin, nose and throat. With these tips in mind, your skin will feel comfortable and hydrated throughout the winter months, and ready and glowing just in time for Spring!